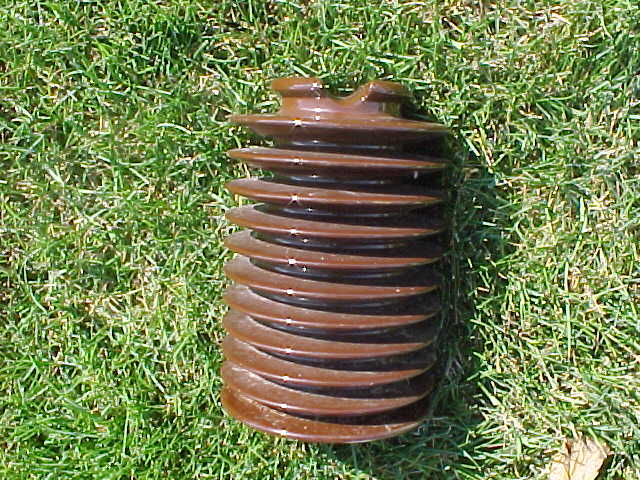 This is an early line post design dating to the early 1930s requiring a wood pin instead of a machine threaded bolt that screwed into a metal cap on the bottom. 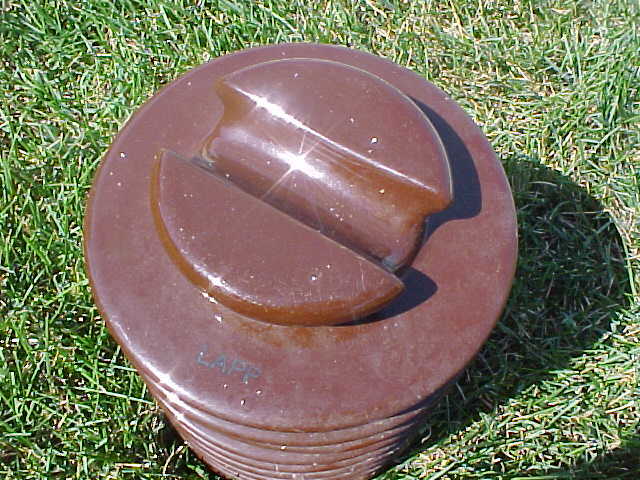 As Brent Mills (1970) writes: "The earliest units were produced without a plug in the bottom of the insulator, the hole directly communicating with the outside air. Insects, dust, and other contaminants entered the hole and reduced the radio interference characteristics of the assembly. 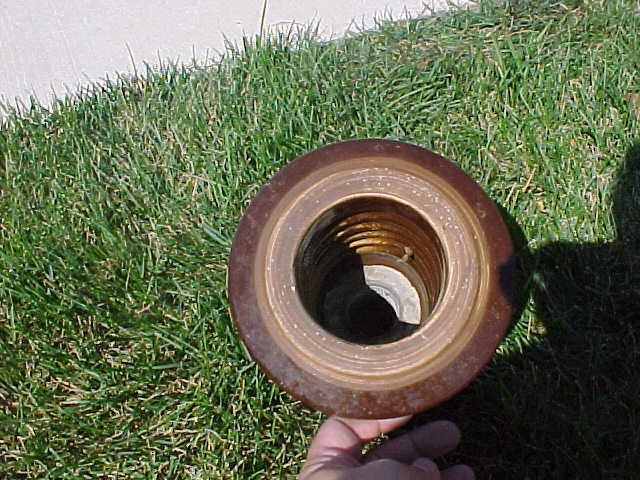 It was decided that the open end of the hole should be plugged to prevent such contamination" (p. 219).